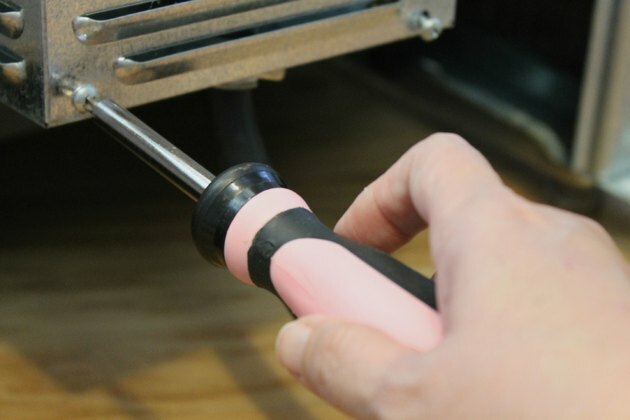 The typical electric oven will connect to the house's electrical system using one of two types of adapters: three- or four-pronged plugs. 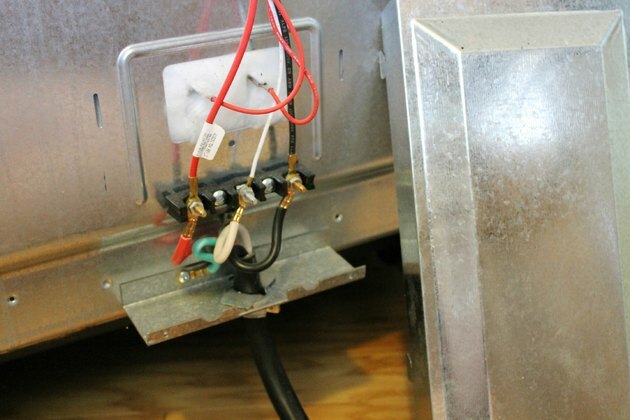 These plugs are wired into the rear center of area of the unit, behind a protective metal panel. 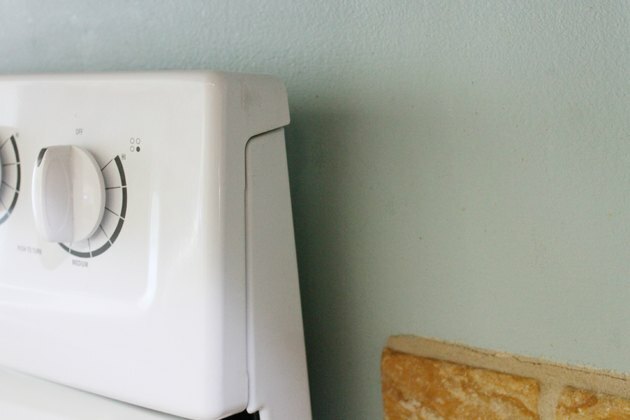 The average handyman will spend about twenty minutes installing this appliance. Unscrew the metal panel in the back of the oven. This will give access to the electrical connectors. There are three connections: red, white, and black. 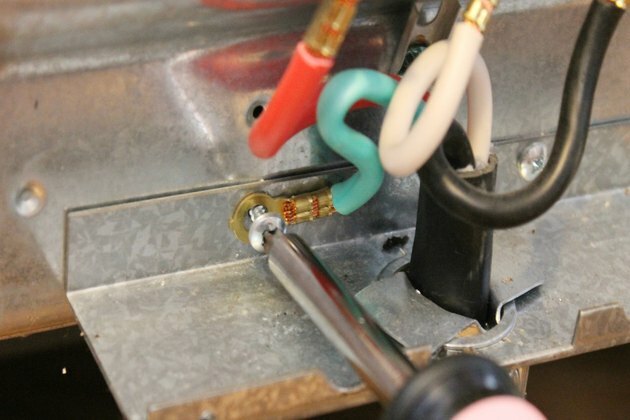 On four-pronged adapters, there is a green wire that must be connected to a ground, usually the screw that holds the metal panel onto the oven. The green wire may also be connected to the white ground wire's connector. Connect the colored wires of the adapter to the range's connectors. Be sure to thread the cord through the bottom opening first, so that the panel's replacement will not crimp them. The colors of the cord's wires will match the colors of the range's connector wires. Red and black are hot alternating current, while white and green will be the grounds. Most connector screws are flat headed, but newer units may have No. 1 Phillips head screws secured to each wire. 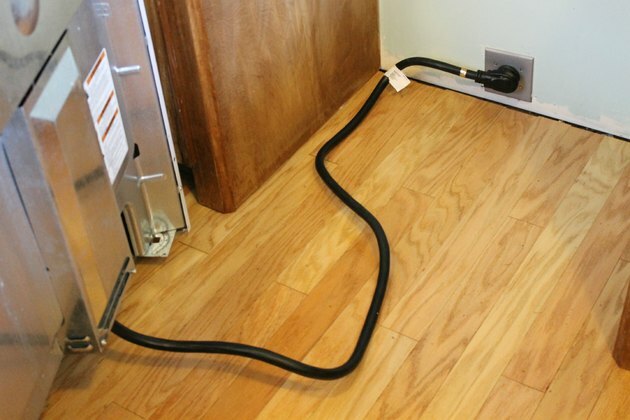 Be sure all connections are tight, and wrap them with electrical tape if they are close to one another. Position the oven into place, leaving about four feet between the range and the wall. 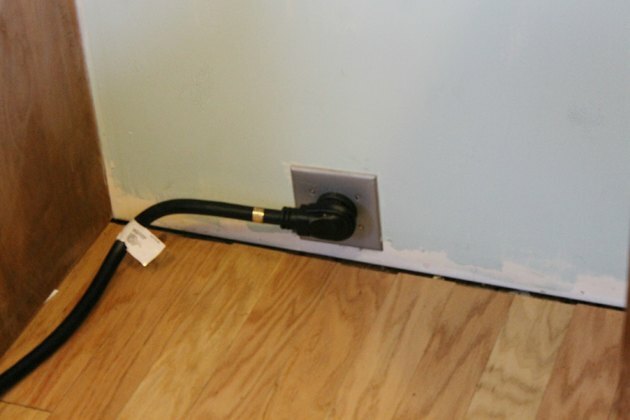 The plug adapters are sold in four- and six-foot cord lengths. Plug the adapter into the socket. If the current is turned on, the oven should be powered. Check all functions of the oven to ensure they work properly. Push the oven straight back into place, but do not push it all the way against the wall. The plug may be damaged if the range is shoved against it.